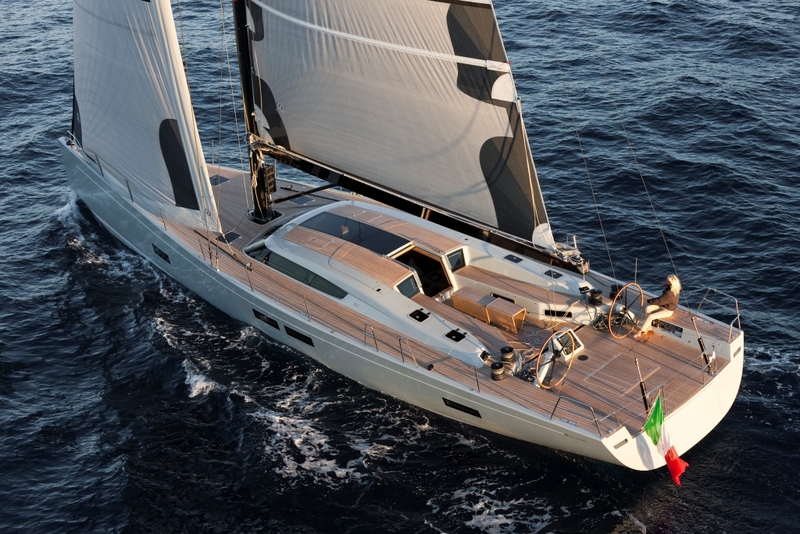 Sailing yacht ONE SHOT OF COWES was built in 2010 by Advanced Italian Yachts and measures 20.46m (67.2ft). 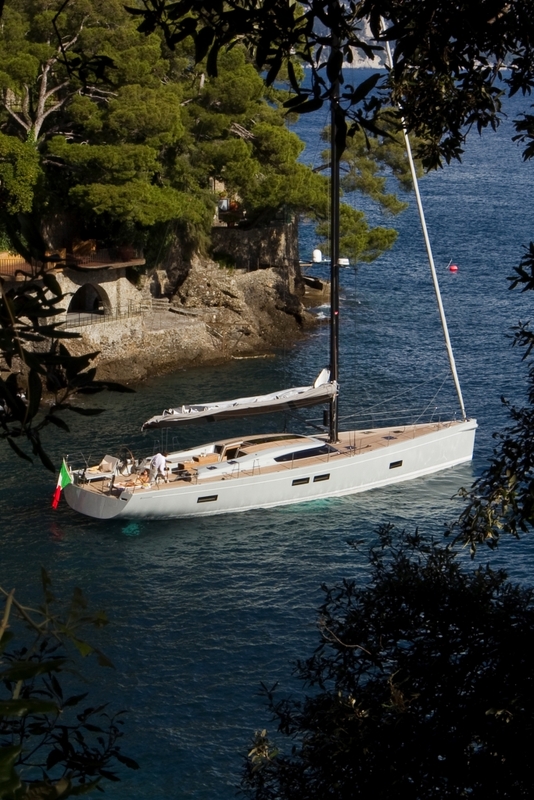 S/Y ONE SHOT is a Reichel-Pugh yacht design, boasting sleek exterior lines and deluxe interior amenities. 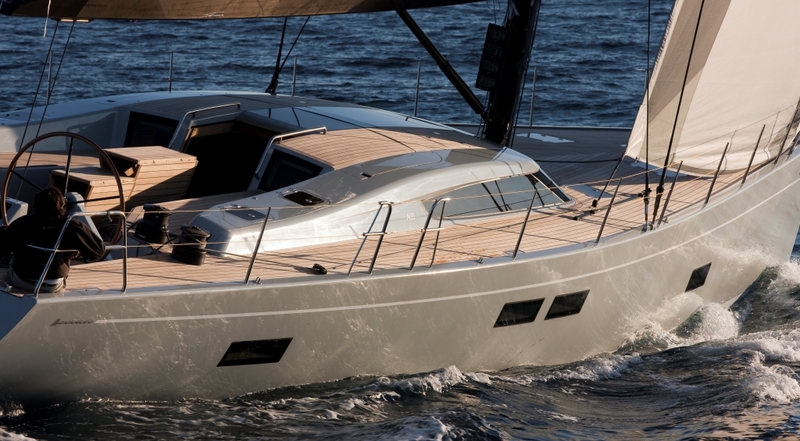 The ONE SHOT OF COWES sailing yacht offers accommodation in 3 double cabins, for up to 6 charter guests. 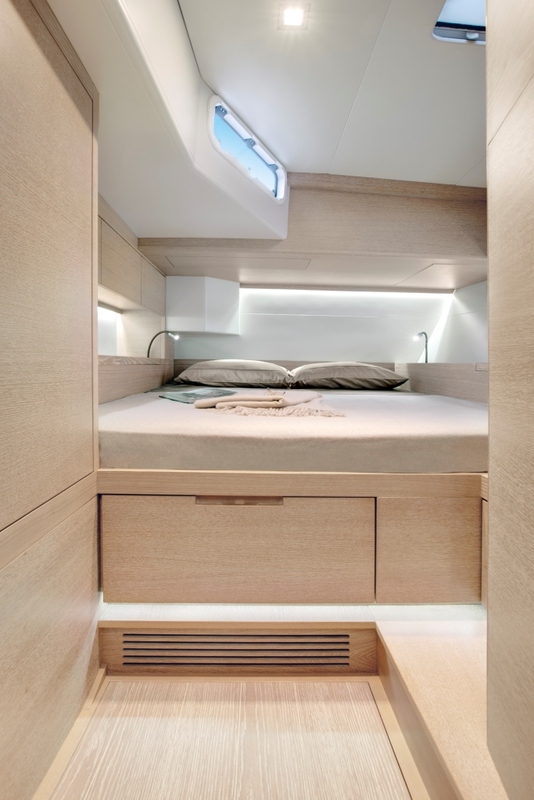 Crewed charter yacht ONE SHOT OF COWES’s interior décor is the work of Nauta design, boasting a contemporary organic atmosphere, with incredible light and optimum space. 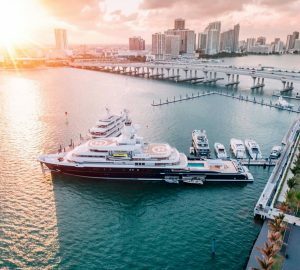 The salon and dining is an open plan, with the comfortable lounge and entertainment systems to starboard and formal dining to port. 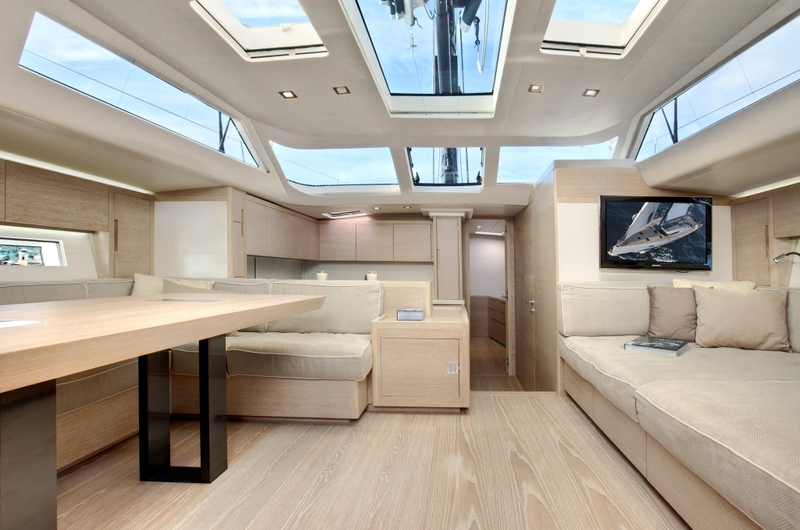 Pale wood floors and panels are complimented by neutral soft furnishings, while ample ports and hatches provide an abundance of natural light. Guest accommodation is in 3 double cabins, each with private en-suite facilities. 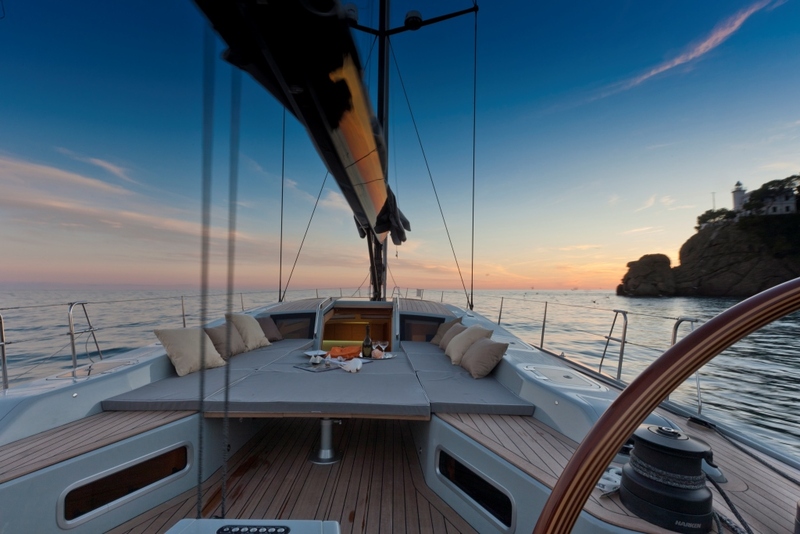 S/Y ONE SHOT OF COWES has flush teak decks, making her ideal for sailing with ease and great for relaxing at anchor. 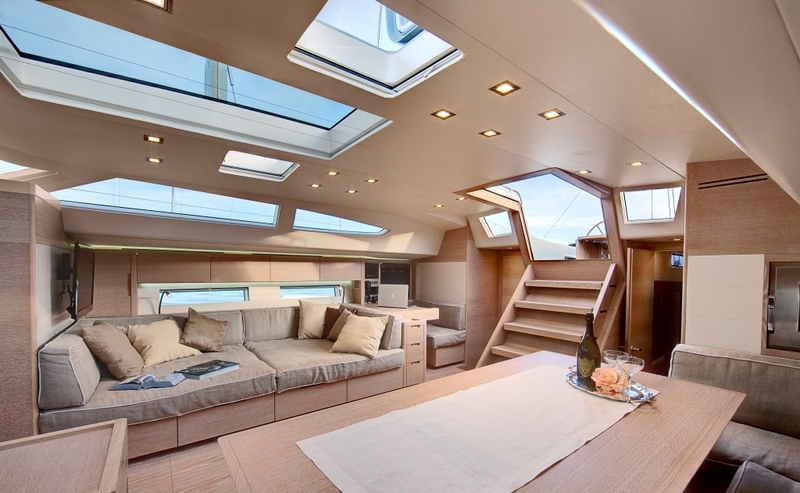 The cockpit has 2 opposing seating areas and an alfresco dining table, the table effortlessly drops into place and forms a massive sunpad. 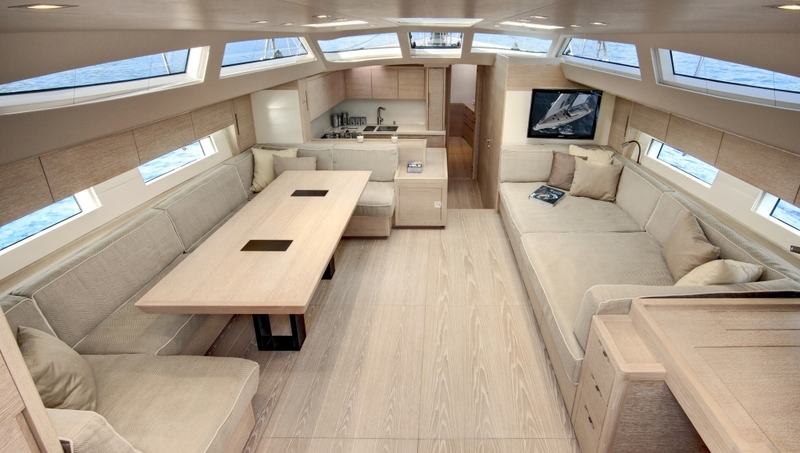 With dual helms, the cockpit boasts an uninterrupted walk through to the spacious aft deck. 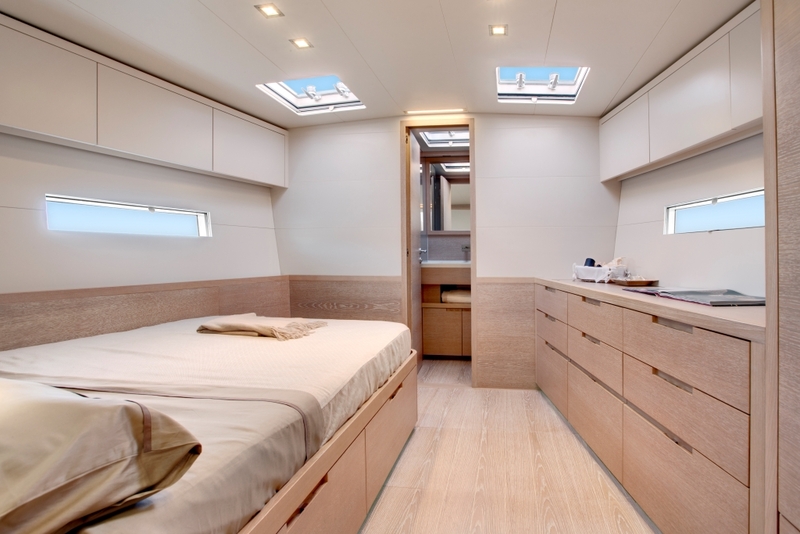 For the water enthusiasts, the transom folds out, offering a fabulous swim platform. 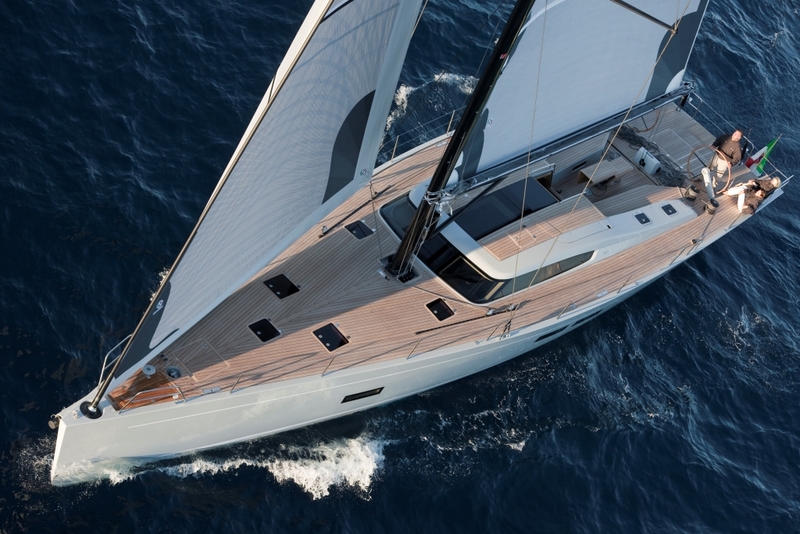 Sail yacht ONE SHOT OF COWES has a beam of 5.4m (17.9ft), her smooth teak decks wrap around the yacht 360°, allowing guests and crew to walk fore and aft, easily and safely. Powered by 1 x Yanmar 200hp engine, ONE SHOT OF COWES motors at 8.5 – 12 knots. 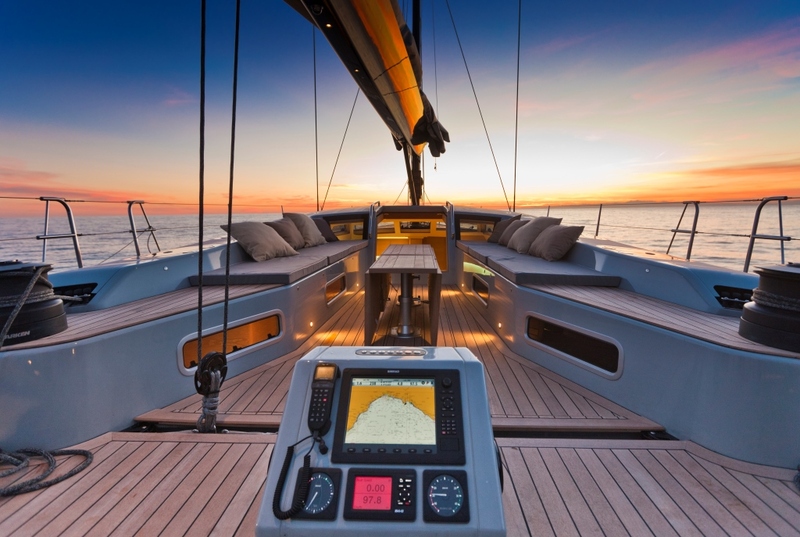 The yachts sloop rig is carbon and her sleek hull was created using the latest in innovative technologies, resulting in a high performance and exhilarating sailing experience. 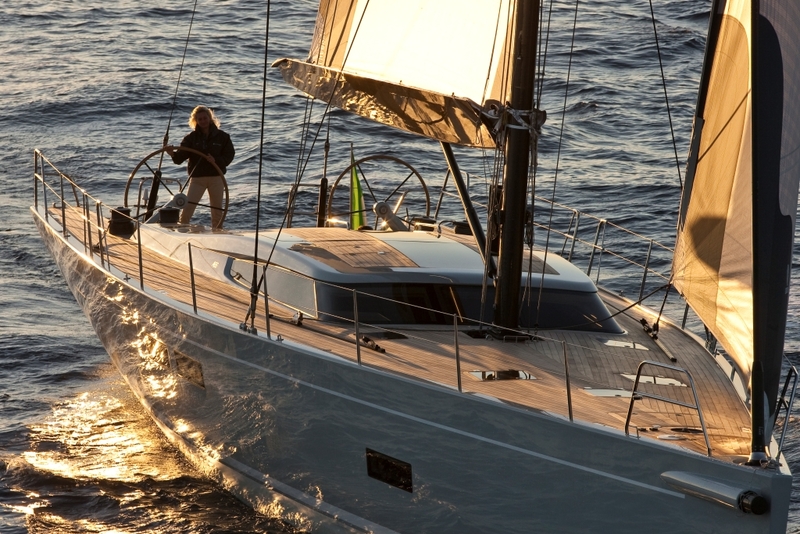 Charter yacht ONE SHOT OF COWES offers accommodation in 3 cabins, for up to 6 guests, a 4th cabin is available for children, with prior approval. 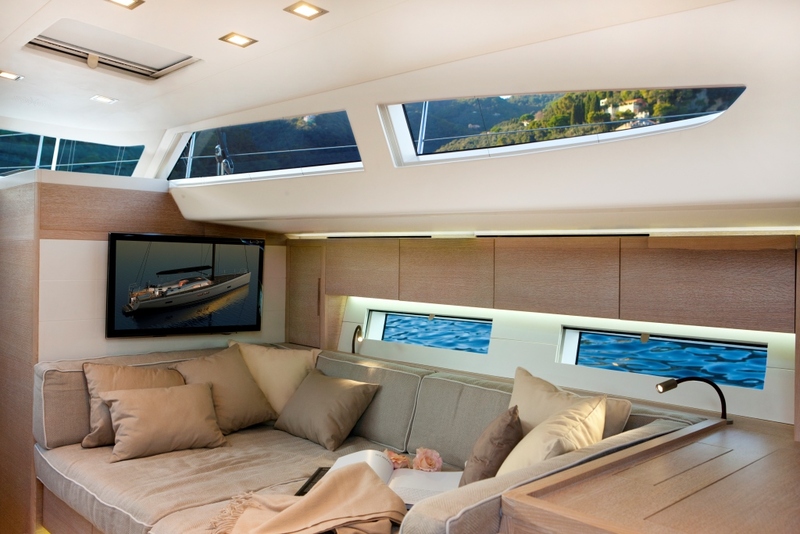 The master cabin is forward and full beam of the yacht, with a double bed. 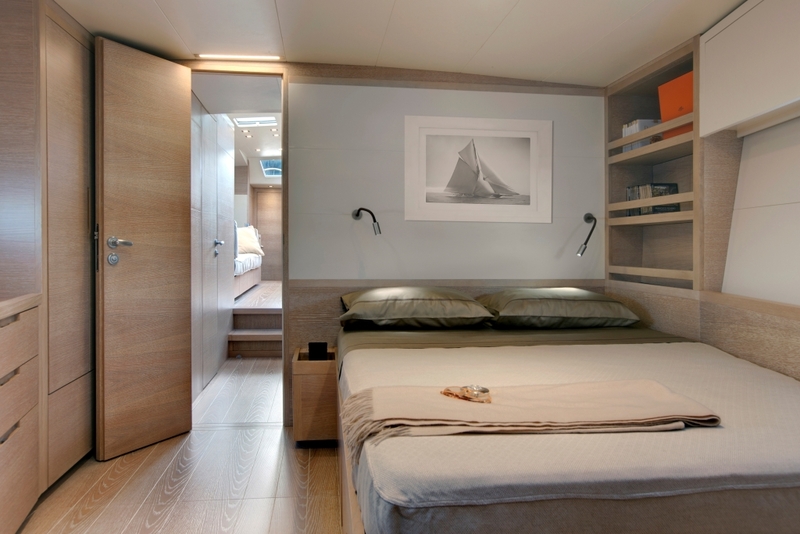 Aft are 2 mirror image double cabins, each with a double bed. 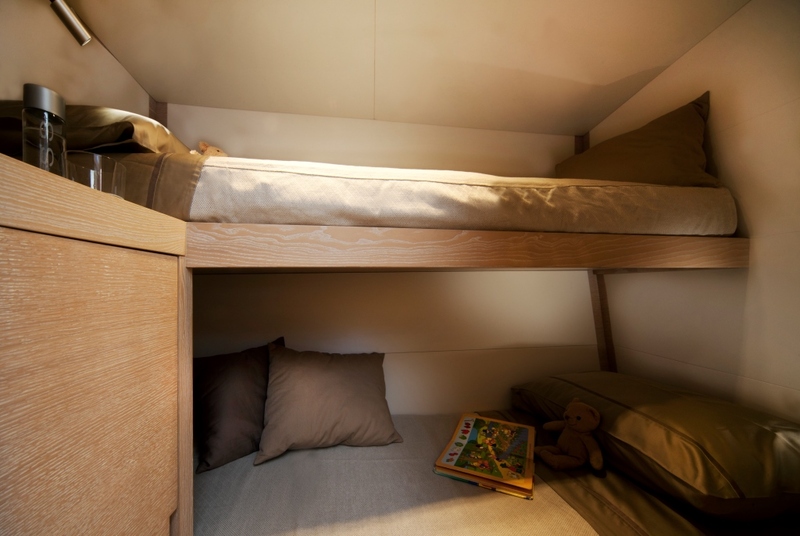 A 4th upper and lower bunk cabin is to starboard, adjacent to the galley. 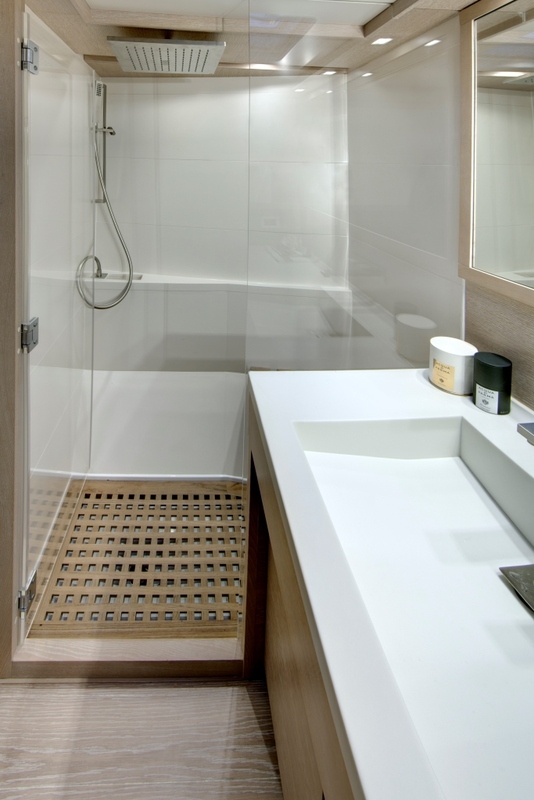 The 3 guest double cabins offer private en-suite facilities, while the optional bunk cabin has shared facilities.